So why should you pick me to be your marriage celebrant? And what even is a marriage celebrant?! 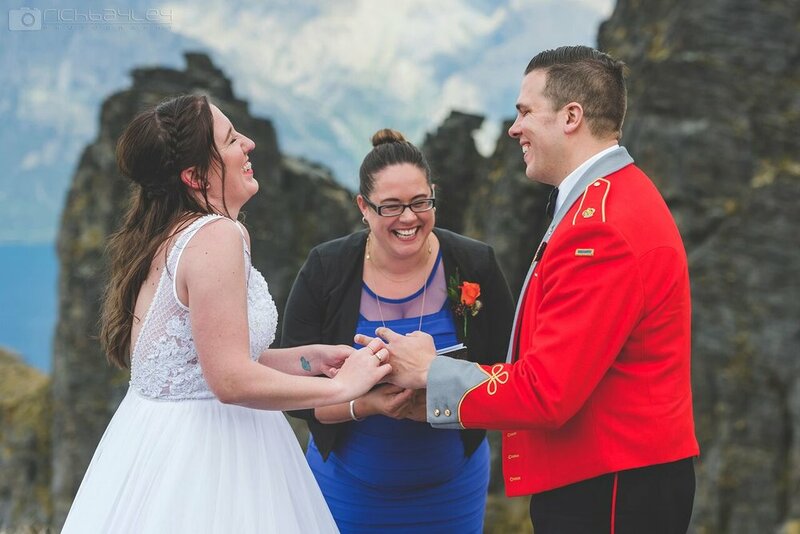 A marriage celebrant (or, officiant if you will) is the person legally required to make your wedding legit. But to me, it's so much more than that! I work hard to make sure that your wedding is exactly what you want it to be. No matter what. Because at the end of the day, it's your day, a celebration of two people in love. A festival of you. Whether you want a 10 minute ceremony, or a 45 minute ceremony with seven readings, a butterfly release, a hand fasting ritual and three songs, I will create that for you. No two ceremonies are the same (because, well, no two couples are the same, amiright?!) so I adapt to you and your vision. I write all of my weddings from scratch, using info about you and moulding it into the ceremony you want. And there is so much more than that! Right from the moment you book me, I'm here for you and whatever you need. Recommendations (I know people, awesome people!) ideas and suggestions, you name it. Literally. You're more than welcome to use my PA system and microphone for your ceremony at no extra charge, because that's how I roll. And of course, I help you with all the legal docs, guiding you through that process from start to end. Basically, I love weddings. I'm mad crazy about them, and I work hard to make sure that the whole wedding experience is more than you could ever have hoped. Because a wedding should always be loved up, exciting, memorable and FUN!